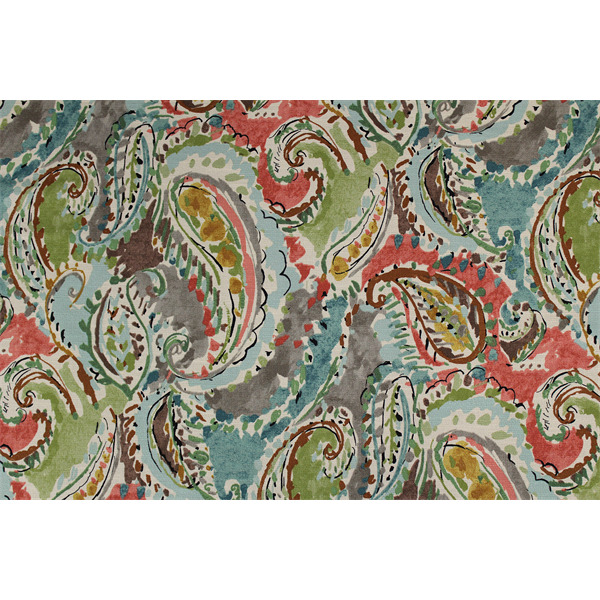 The lovely, color fabric features a large paisley design with a watercolor paint look. Colors include green, pink, orange, blue, black, brown, and grey. 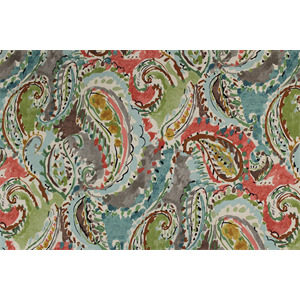 This fabric is perfect for any home decorating project such as drapes, curtains, pillows, and more. Manufactured by Swavelle Millcreek.